Dryer fires are a cause of house fires that is more common than many home owners realize. Proper cleaning and maintenance of clothes dryers is the best way of avoiding this not so rare tragedy. Every year in the U.S., there are an average of 13,000 house fires caused by clothes dryers. There are also approximately 370 injuries, ten deaths and $97 million dollars in property damage. Most of this damage and destruction is preventable by having the dryer duct cleaned regularly and the dryer serviced when it is not running correctly. Typical consumer drying machines can be electric or gas; both types are susceptible to fire due to the combustible nature of accumulated lint build-up (see right). A dryer works by removing water from all the fabric placed inside the appliance. This process creates lint, which becomes compressed overtime in the ducts of the appliance. A dryer has a motor that rotates the drum and a flame, or electric heating element, that dries clothing, towels and fabric. Both generate substantial heat (in addition to consuming large amount of electricity). Good ventilation of this heat is needed so that the dryer will operate efficiently, as well as for safety. And if lint is causing a blockage, ventilation becomes virtually nonexistent. Unfortunately, dryers are typically installed in a tight location, such as in a closet or pressed up against a wall, which restricts access and ventilation. Obstruction of the dryer duct is the biggest cause of these fires. 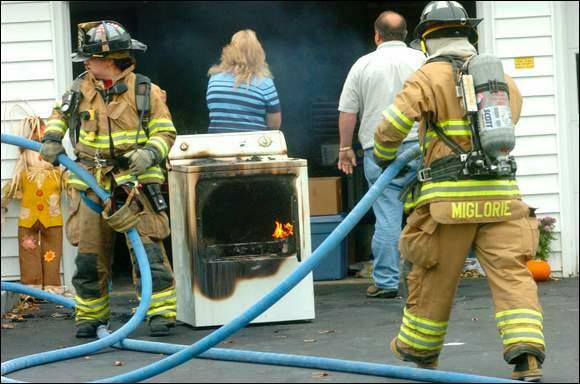 This problem accounts for over one third of all dryer fires. Lint is the biggest culprit for obstructing a duct. This is most common with flexible tubing, especially ones that are long, or have bends in them. Most homeowners assume that by simply cleaning out the lint trap after every cycle, they’ve eliminated all lint caught up in their machine. This is not the case. 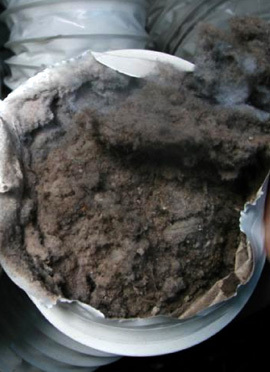 Lint, dust and debris builds up in the ducts as well as in and around the lint trap and is not easily removed. At least, not without the proper tools. Flexible ducts are prone to sagging, leading to a pile up of lint which then prevents the hot air from getting out. A blocked duct can cause overheating of the motor, which can then ignite lint and lead to a fire. This is especially true for condominiums and multi-story apartment complexes. 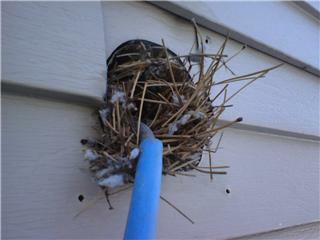 Birds and insects are often attracted to openings in the outside of buildings and choose these locations for nest building. As with lint build up, nests will keep air from flowing properly and the motor can overheat igniting material that has accumulated underneath the dryer. Damaged or missing lint screens can also result in lint being drawn into the interior of the dryer and be another route to fire. Thermostats and limit switches that are malfunctioning are another source of fires, along with flexible ducts that get crushed. A low amount of air exiting the duct when the dryer is running. The best ways of preventing a dryer fire are cleaning the lint trap every time the dryer is used and having the duct that leads outside cleaned and inspected at least once a year. More frequent cleaning might be needed if the dryer is used a lot. Replacing flexible tubes with ridged metal ducts makes it harder for material to build up and will also make cleaning easier. If there is a fire, metal ducts are more likely to contain it. Removing lint and reducing a fire hazard in your home is by no means difficult to do by yourself. For $20 to $30 bucks you can pick up a vent cleaning kit from your local hardware store, which typically contains a wire, circular brush, some rods, and some vacuum attachments. The video below is a great walkthrough for how to clean and maintain your dryer ducts by yourself. Having the dryer duct cleaned is also good for the life of the dryer. It will last longer and cost less to run. Most importantly, it will greatly reduce the chances of your house becoming a dryer fire statistic. If home improvement is not your forte, give us a ring and we can come out and clean your dryer vents for you. 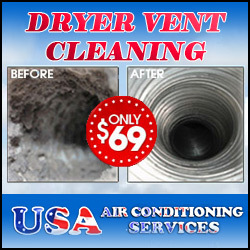 Our duct cleaning company charges only $69 for a thorough, professional cleaning, no mess, no fuss. Need your ducts cleaned as well? 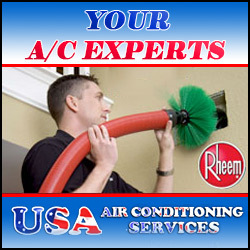 Contact us about our $99 Platinum Air Duct Package. This offer includes dryer vent cleaning, air duct and coil cleanings, a complete duct system diagnostic, and complimentary organic deodorizing. For more information, contact our friendly customer service department at (561) 404-0340.